Office parties. House parties. Family get-togethers. Holiday gatherings are tailor-made for the convenience and crowd-pleasing deliciousness of pizza. 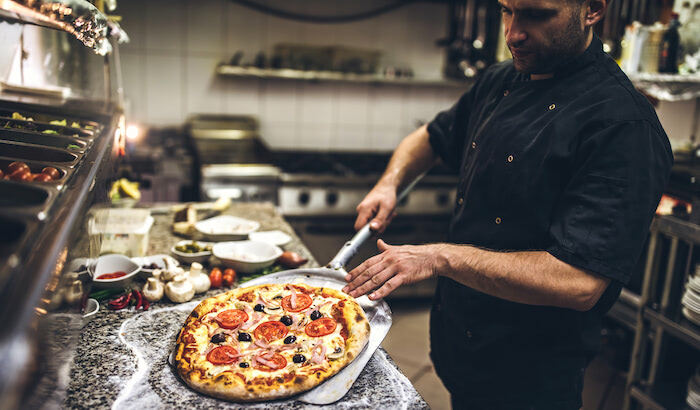 Seasonal catering is a great way to get your pizza in the hands of party-goers, and a prime opportunity to differentiate yourself from the competition. However, adding a catering service — even a temporary one — requires careful planning and thinking beyond the menu to be executed well. Use these pointers to consider every aspect of seasonal catering and your operation’s capabilities before you commit to providing that first holly-jolly feast. What’s your minimum party size? Your maximum? Will you charge for delivery? If so, will it be a flat fee or a percentage of the sale? How far are you will to travel to cater an event? 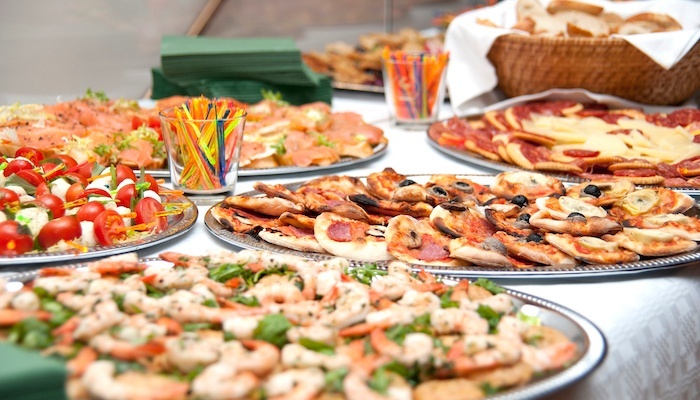 Will you staff catering events, or will you offer self-serve only? Which items will be available from your menus? Pizza is a given for your menu, but customers want one-stop ordering convenience. Offer add-ons like appetizers, salad, drinks and desserts for some variety and extra holiday pizzaz. To really go the extra mile for your customers, include plenty of disposable plates, cups, napkins and plasticware with each order. Pizza “go-withs” like parmesan cheese and red pepper flake packets are also appreciated. Scheduling sufficient coverage for your restaurant, delivery and catering needs. Making temporary hires to cover catering events that fall outside of your normal operating hours. Assigning a manager to handle all catering calls in order to streamline operations and provide exceptional customer service during a traditionally busy time of year. Expanding your offerings to include catering also means expanding the amount of ingredients and specialty items you’ll need on-hand. It can throw a wrench into your kitchen operations. Designate a back-of-the-house employee to maintain a list of necessary ingredients, monitor inventory and report low quantities to trigger an order. Non-food inventory management is required, too. Have that same employee keep an eye on and stock extra pizza boxes and delivery bags; packaging for sides, salads and desserts; cups, utensils, napkins and hand wipes. So, you’ve decided upon the catering menu and how you’ll make and manage the food. How will you get your pizzas and sides to their destination? How will food remain at ideal hot or cold temperatures? Can vehicles designated for catering transport large orders and additional staff? Are there a sufficient number of drivers? How are the vehicles insured? What types of vehicle signage may be required? Waiting until the holidays are upon us to drum up catering business could mean missing out on profitable events. Party planners start well in advance of the holiday rush so leverage social media, ads on takeout menus or delivery flyers, and staff upsells to promote your service — early and often. With appropriate planning, seasonal catering can be a fun and profitable pursuit. 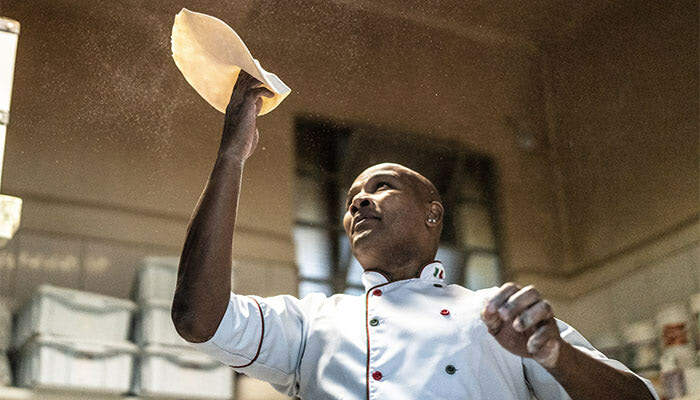 Keep the momentum going into the new year by promoting how pizza can be part of health-related resolutions with the advice you’ll find in How Pizza Fits Into Healthy Lifestyles. Click the button below to access your copy now.